If a new online casino site has any chance of making an impact on the immensely competitive market, then it needs to really kick the door in and make sure it is immediately noticed. This is certainly a great start for Slots Zoo, few sites that launched in 2017 can offer such a comprehensive collection of promotions. But it’s going to take more than that for this online casino to enjoy lasting success, so what more does it have? The name is a little misleading here, as the theme of Slots Zoo is more that of a safari than it is a zoo, but this is not a bad thing, as it’s a great looking site that really goes all out on its concept. A cartoon like background that includes giraffes, deer, expansive plains, and snow-topped mountains in the background is lovely, and the subtle colour scheme counteracts the noisy design theme well. There’s a lot going on here, and too many bright colours would prove distracting at best, and frankly off-putting at worst. 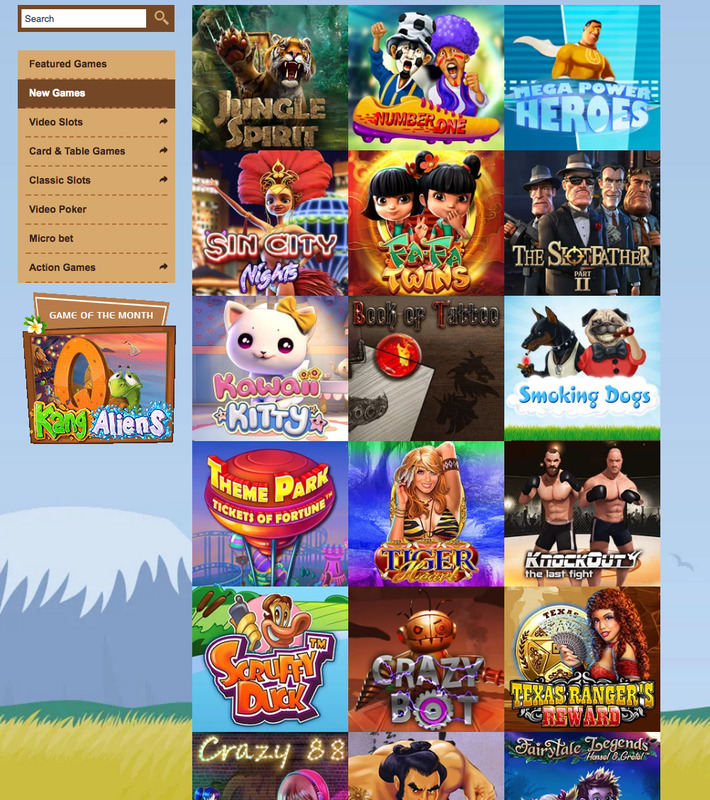 We’ve seen this happen at many sites, but Slots Zoo swerves it with style. Navigation is simple too, with many games available via thumbnails from the homepage, and all other game types listed down the side of the page, making them easy to find. You can also find any information and promotions with ease, which helps too. This isn’t the most ‘out there’ design you’re ever going to see, but it is proof that taking a simple design, and following through on it completely, can often be the best idea, and something that many other new sites could learn from. At this point, Slots Zoo is let down by the collection of games that are on offer. It’s a new site, and there is time to add more, but with titles coming from a limited list of software developers (BetSoft, BG, Booongo, GameART, GameScale, NetEnt, and Playson) which is missing some big names, it is unlikely to impress anyone aside from those new to the casino market. That being said, some of the names providing the games here are lesser known, and their games are harder to track down, so if you’re looking for something new to play, you may well find it here. This is certainly a plus, but a few more popular titles would not go amiss. Video slots, classic slots, table and card games, action games, and live and virtual casino options mean that you’re unlikely to get bored too quickly, and hopefully there will be titles from the likes of IGT, Microgaming, Playtech etc. soon enough. If that happens, then Slots Zoo may be in with a legitimate shout of being one of the best new sites of 2017!